To celebrate my first day of my Holiday break my boys both got to eat their favorite breakfast. Gabriel had eggs and Orion asked for pancakes. You know I just couldn’t resist making them special for the holidays. 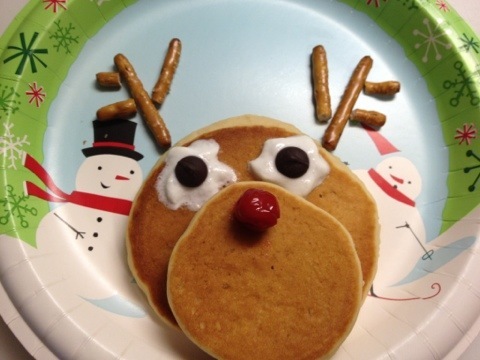 So I bring you Rudolph pancakes! 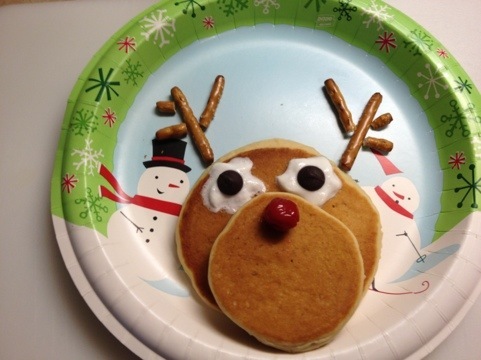 He has whipped cream and chocolate chip eyes, a cherry for the nose and pretzel stick antlers. Happy Holidays everyone! Enjoy!